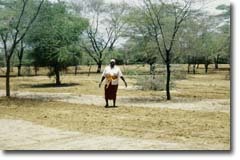 The RAE Charitable Trust has worked with local Kenyan communities for over two decades to successfully transform degraded drylands into profitable rangelands for the benefit of the people and the environment. Today, people of Baringo Kenya are ascending out of poverty through the profitable utlilisation of their improved drylands. This has been made possible through the multifaceted RAE Trust programme. 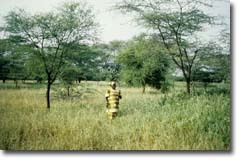 By working closely with the local people, the RAE programme has successfully reclaimed degraded semi-arid land and established sustainable income generating opportunities on well managed productive grass fields. The RAE programme is based on the active participation of pastoralist communities to meet local needs as defined by both men and women. RAE’s participatory programme includes a range of interrelated activities and services developed through practical research, development experience and local knowledge. The programme is dynamic in nature with local and international expertise responding to the challenges of dryland communities in Baringo, Kenya and beyond. 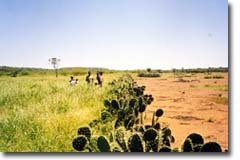 Land degradation and erosion are severe; a lack of vegetation, biodiversity and natural resources has increased ethnic conflict; fewer income generating opportunities has reduced food security, exacerbating gender imbalances and poverty. RAE's clear, tangible results, that benefit the people and environment of the Baringo lowlands are having a growing impact on improving drylands. Through an ever expanding network of partnerships, training and the transference of knowledge RAE's positive results are now being replicated locally, nationally and internationally.